Comfortable and spacious rooms with modern amenities and stunning views of Toroneos Gulf, offer you moments of relaxation and enjoyment. Spanning over eight beautiful traditional buildings, Elea Village offers 80 rooms: 36 Standard double rooms that accommodate up to three guests, 18 Superior double rooms (with extra bed) that accommodate up to four guests, and 26 family apartments that consist of two rooms with one double and two single beds. 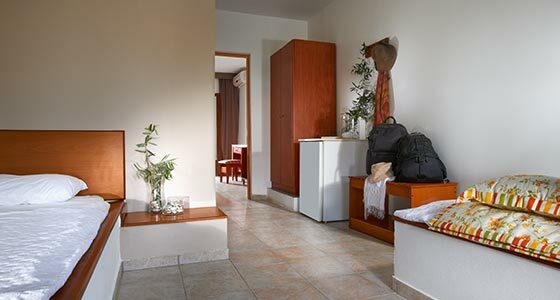 Each room features air conditioning, refrigeration, a satellite TV, a bathroom with shower, and a balcony or terrace.